Catch Us in the Act at the Sonoma County Fair this Tuesday night, August 9th from 6-9pm on the Park Stage. Tuesdays are 2 for 1: Buy one Fair General Admission and get one free every Tuesday BEFORE 5:00 pm. Come early and enjoy the music of our friends, the Italian pop sensation, Bella Ciao who are playing before us on the same stage from about 1-4pm. 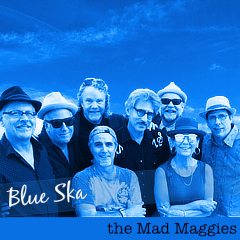 Fairgrounds, live music, Santa Rosa, Sonoma County, the mad maggies.